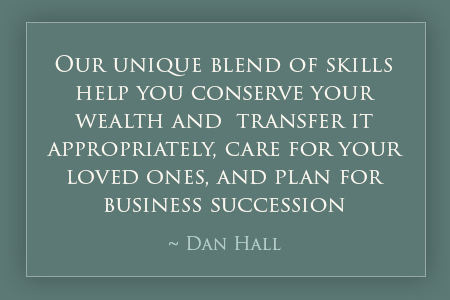 in making the decisions required for estate planning. We believe in the importance of taking the time to carefully explore your wishes and then helping you decide how to accomplish what is best for your loved ones. We’re here to take care of you and your family, both legally and personally. we develop your estate plan with a clear understanding of the tax implications for your specific situation. The comprehensive plan that we develop with you will be personally crafted to meet your wishes and achieve favorable tax results. Planning for tomorrow cannot happen tomorrow. We can only do it today.